The economic perils, which were one of the major reasons why Egyptians took to the streets in January, are only getting worse. Unemployment is at an all-time high and millions are struggling to make ends meet. ­Ebonist Mohamed has been running his own business for 35 years. It used to bring him enough money to send his son to study to Canada and take his large family abroad once a year. But with the economic devastation caused by unrest and political uncertainty, his enterprise has been badly affected – now he can barely afford to feed his children. He says the wind of change may have brought freedom to Egypt, but it has brought a survival storm in its wake. “You know I loved the revolution when it happened, I welcomed it. That looked at that time like a light at the end of the tunnel. But you see it’s not getting any better. If we have nothing to eat just don’t tell me about democracy! For hungry people it just doesn’t matter,” Mohamed says. Economic growth has dropped from five to just one per cent. Some 13 million people live below the breadline. Unemployment has hit 12 per cent. 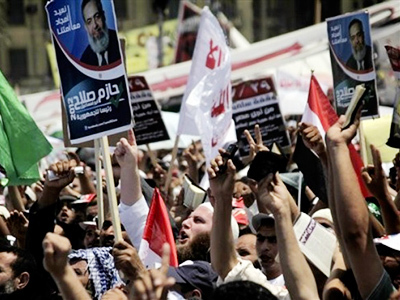 Egypt’s revolution was regarded as the most-successful chapter of the Arab Spring. It took 18 days to end one of the world’s longest dictatorships. But five months on, there is little satisfaction, and dictator-free Egypt is far from the best place to live. “I’m afraid that the people are getting very tired and they are also getting very hopeless. 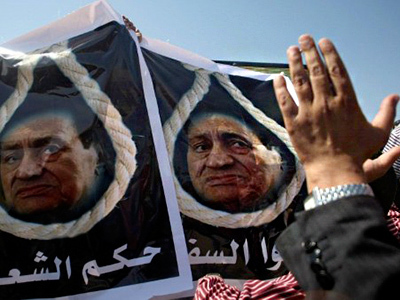 The people now are talking about Mubarak as being much better than today, than the revolution. 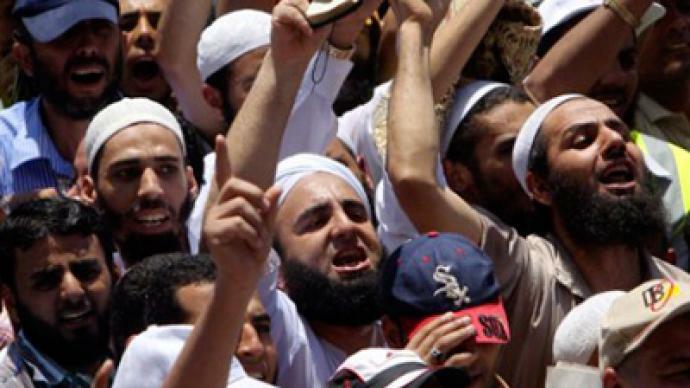 It’s a very sad result,” says Abdallah Al Ashal, former minister of foreign affairs. People are indeed tired – even those who backed the changes. Nasser Abdel Hamid is from the Revolution Youth Coalition. He tries to remain optimistic, but what he says sounds a lot like self-conviction. “We’ve been living under Mubarak for many, many years. Too many, I’d say. It’s great what we did. We just need to wait. Just need to be patient. It’s hard to do, so much trouble we have now. But we need to wait. For a bit more time,” Hamid says. Recent renewed demonstrations in Tahir Square show that their stoicism is being pushed to the limit. 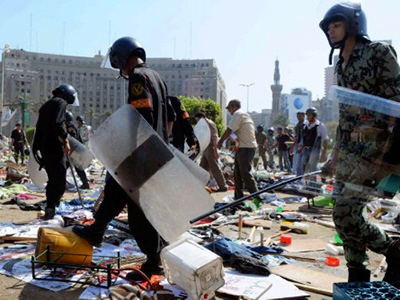 And it is protests versus patience in the battle to save Egypt from crumbling further.